I’ve been waiting all month to do this plant post. 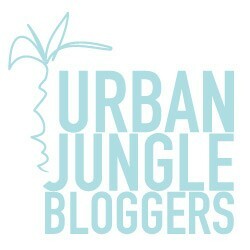 Urban Jungle Bloggers’ topic for today only, April 27th, is “New Beginnings” and it couldn’t be anymore relevant to my life right now, in all forms. I’m starting a new job, each plant is coming back to life post-winter, and I’m finally making progress on my Leaf and Paw book, which is set to come out…eventually. All that aside, the most exciting part about all this are my plants beginning to grow again. Here in NY, as I’ve mentioned before, we have weird winters. Sometimes harsh, sometimes mild, either way it’s always a roller coaster and we still get one last hurrah snowstorm in April. For my plants that make it, which almost all do, it is always this last week of April I see their transformation. 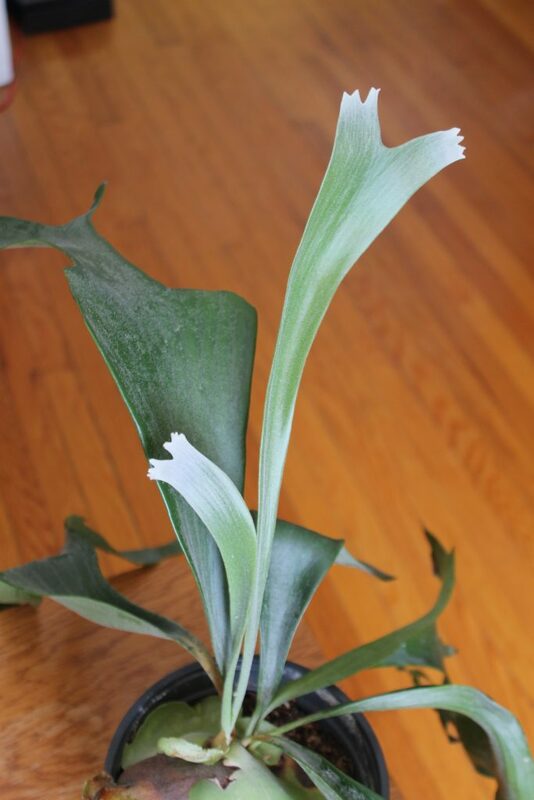 The tulips outside come up and my indoor plants sprout leaves in a day. 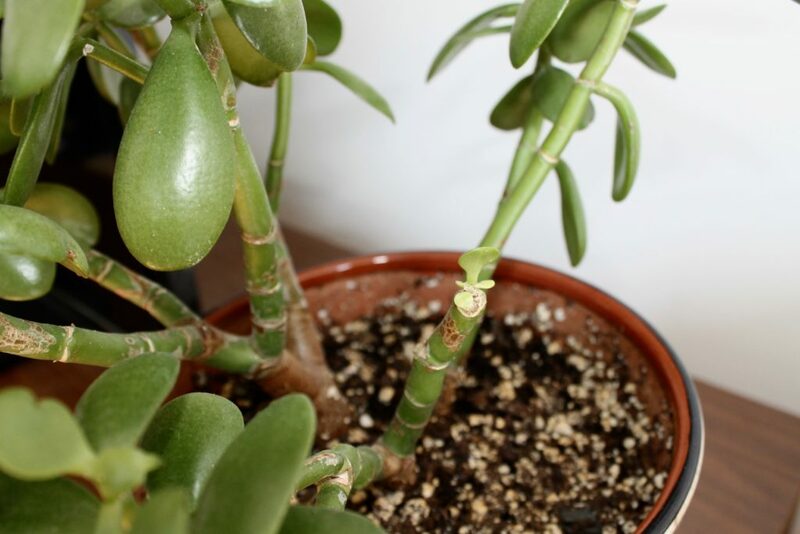 Just this week my Jade (who snapped a few weeks ago) pushed out a tiny bitty leaf that was just too cute. 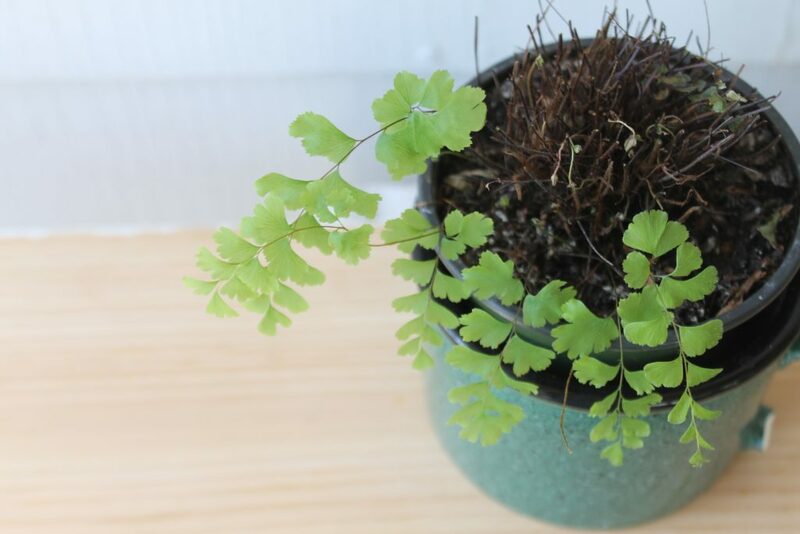 My ferns are always fussy, but my little maidenhair fern (below) really suffered this winter. After I cut her back a couple weeks ago, she’s releasing little fronds one by one. 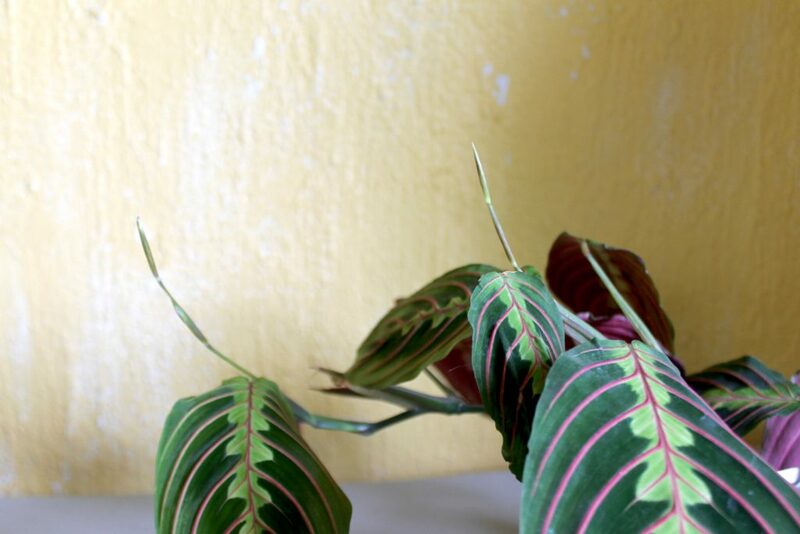 Given the topic of new beginnings, I wanted to share the indoor plant rituals I do to acclimate my plants into spring. I think it’s important for everyone to have a set of tasks for their plants to keep them happiest. 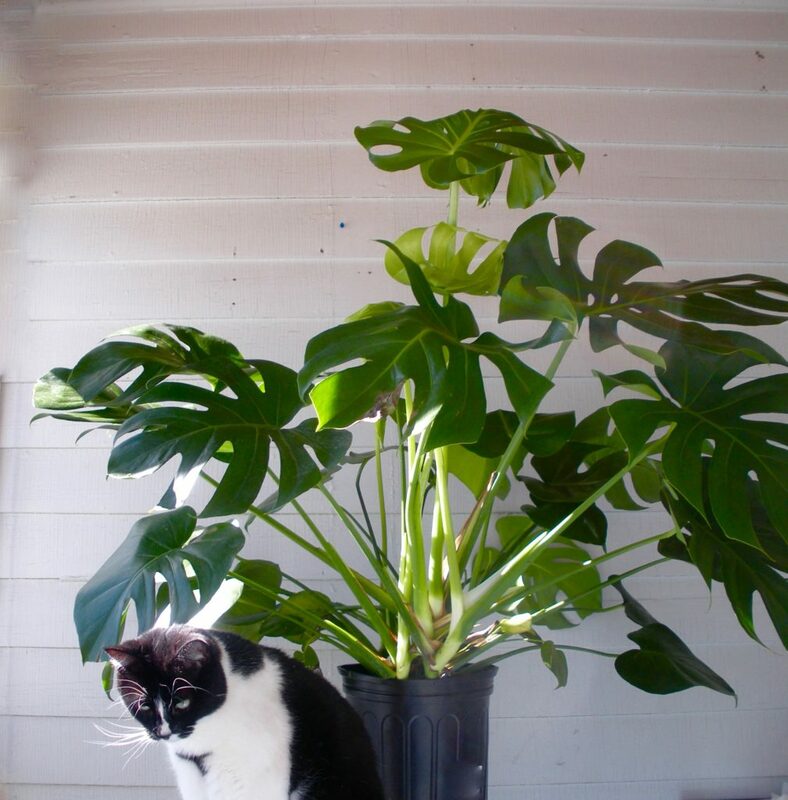 And, because I’ve also began to propagate like a boss, I was urged to share my experience with pruning my monstrous Monstera, Monty. As plants’ new beginnings take place, every spring I assemble my basket that I keep my basic tools in. 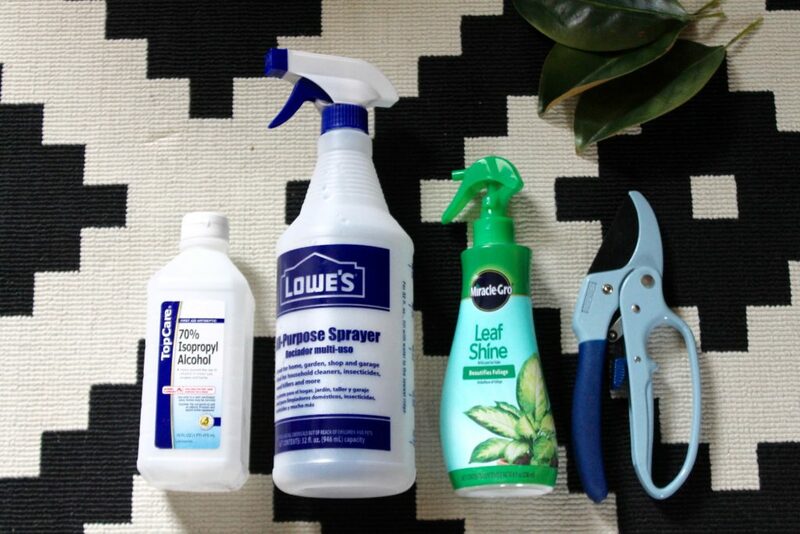 It includes one or more trimmers, isopropyl alcohol for bug removal, my spray bottle, and leaf shine. This is my go-to basket that houses everything I need to keep my plants healthy. Also on hand is my gallon jug of fertilizer (the jug is unsightly and unphotogenic) and favorite IKEA watering can. Once a day I greet my plant friends, open the curtains for light or place a select few outside on my enclosed porch. Spring weather can be unpredictable, so I only place them outside if it’s warm for most of the day. I discovered Rudy, my rubber tree, loves Vivaldi and grew a great deal the first time he heard him. So, in the morning, I usually play Vivaldi while making breakfast. Rudy prefers the Four Season, and I do too. Plants also fancy jazz, especially Miles Davis. I can no longer play AC/DC in the morning for reasons I will share another time. Weekly, I check for bugs, more on that here, and give everyone water. In my house everyone gets a similar amount of sun, so watering typically amounts to once a week. My Fittonia and other thirsty plants may get an extra drink during the week if there’s wilting going on. It’s also important to aerate the soil so drainage can be better achieved. I was introduced to this idea from Houseplantjournal, who is an mild Instagram Celebrity and Plant Caretaker in neighboring Canada. Since I have a lot of large plants, their leaves inevitably get dusty. I used water for a few years but use a designated “leaf shine” formula since it works better on certain plants. 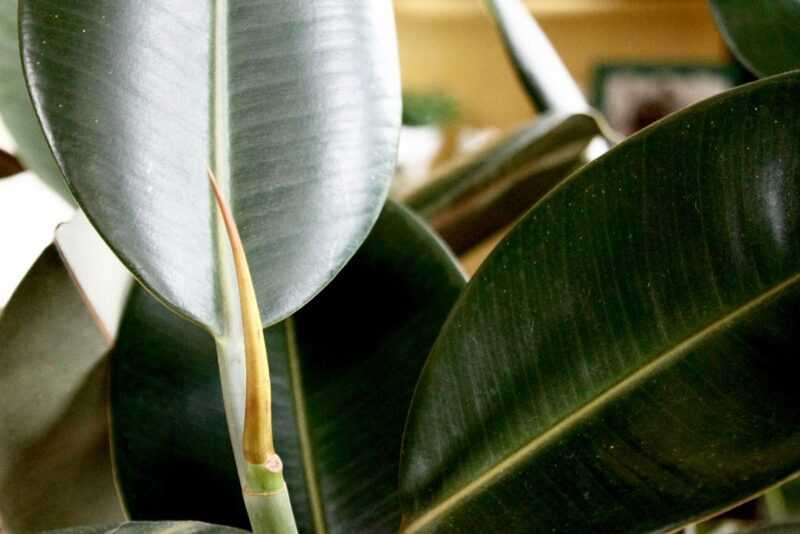 My rubber tree collection are the only plants I still shine with water, not leaf shine. For some reason Rubber Trees get especially dusty in winter and monthly cleaning with water and a natural soap helps prevent cat sneezes. Every month in spring, I also check pots. Because there is new growth happening, pots that may have fit last spring can be a tight fit. 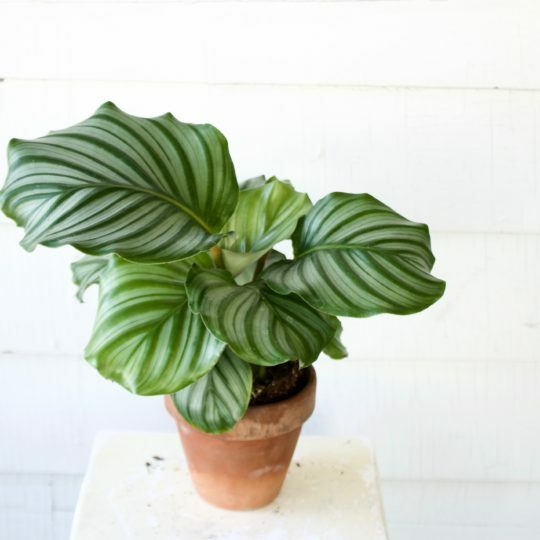 The best ways to know if a pot is too small: aerials roots sneak from the bottom of the pot, there is constant stunted growth, or the plant is just blatantly breaking it’s planter. Every 6 months to a year, I typically replant. 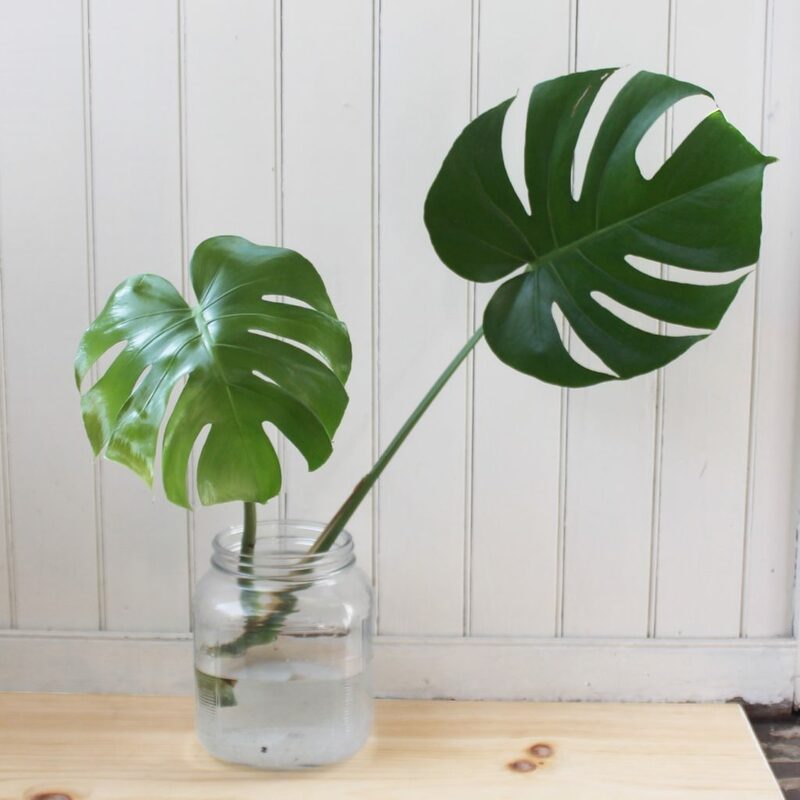 Even smaller plant need their leaves cleaned so they can better absorb sun to make new leaves! As I mentioned above, it’s super exciting to be propagating! I briefly talked about it in this post, and after a few tries I’m getting the hang of it. Monty was my first challenge. 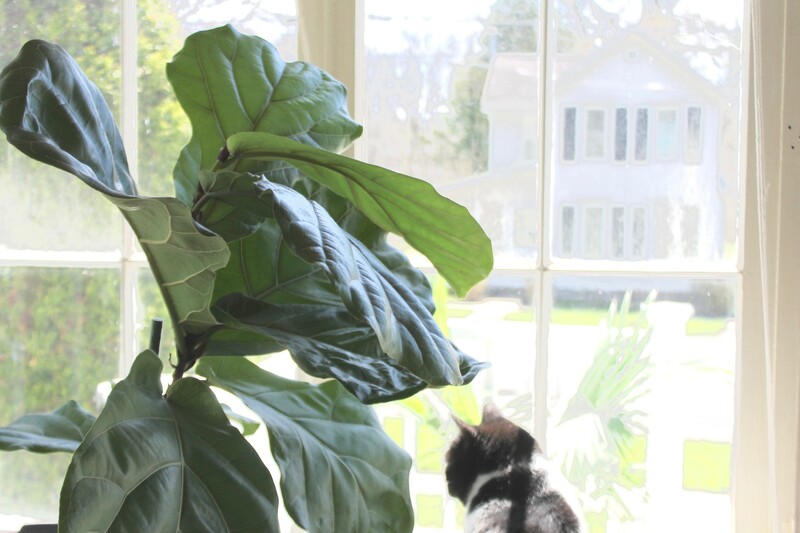 Since I love Monsteras and was terrified of killing him I read as much as I could about pruning and propagation. 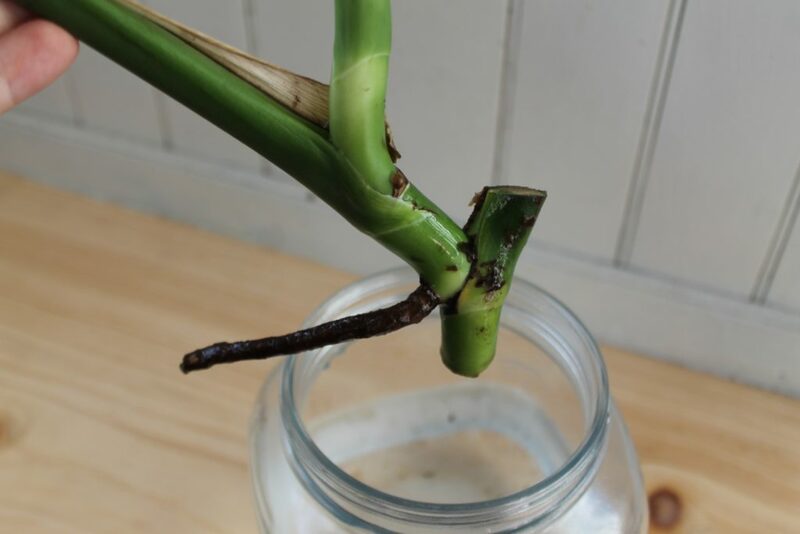 I usually like to have the stem harden over a bit, so I left the cutting for a day and then placed it in water. Ta da! 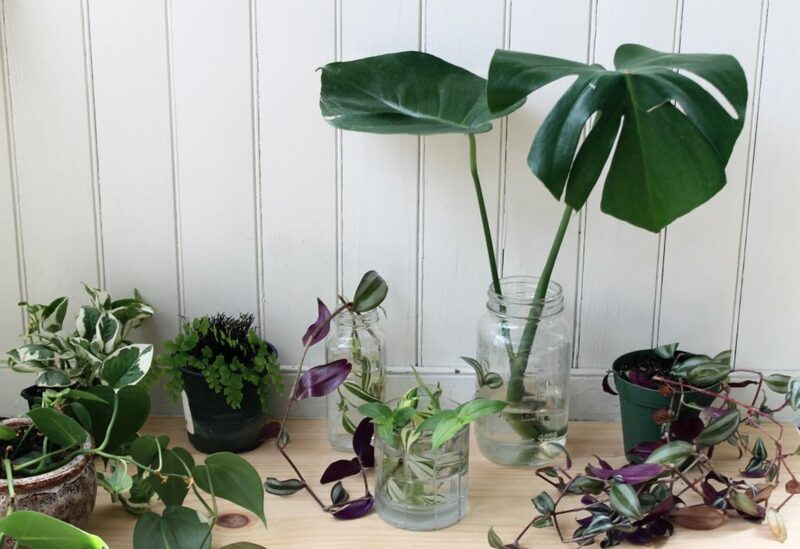 I’ve been using a similar method propagating my Wandering Jew cuttings, Pothos, and Peperomia. Below is my family in water, growing roots, almost ready to be planted. Hooray for spring and new beginnings!